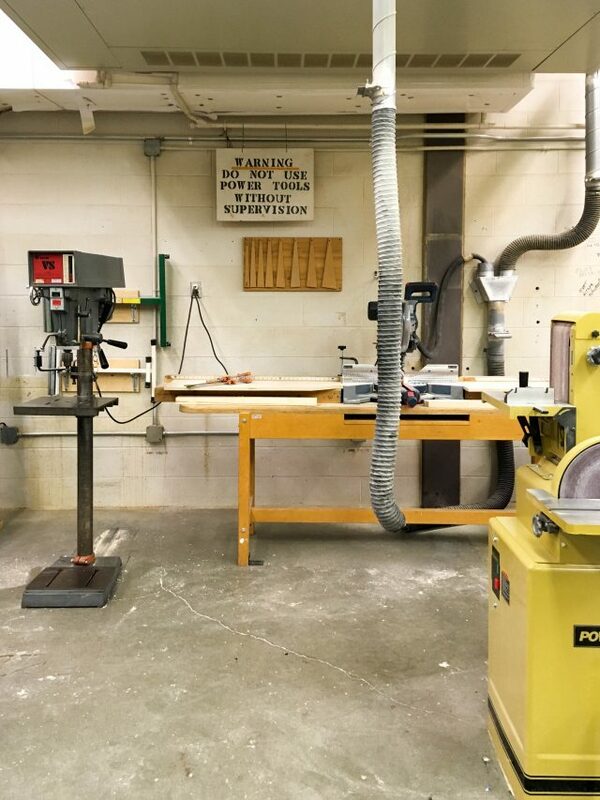 Our wood shop provides students with a safe space and the tools necessary to explore techniques in wood working. 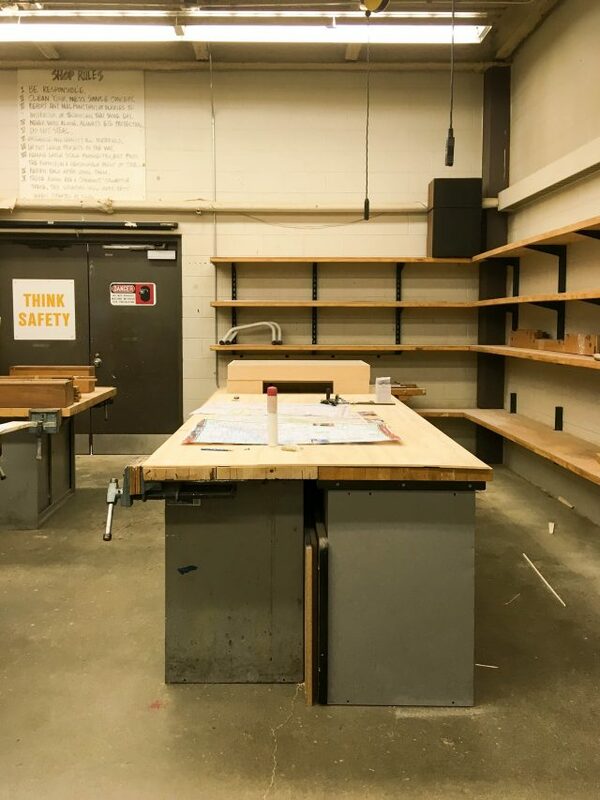 Students may work in the wood shop during a sculpture or installation course. 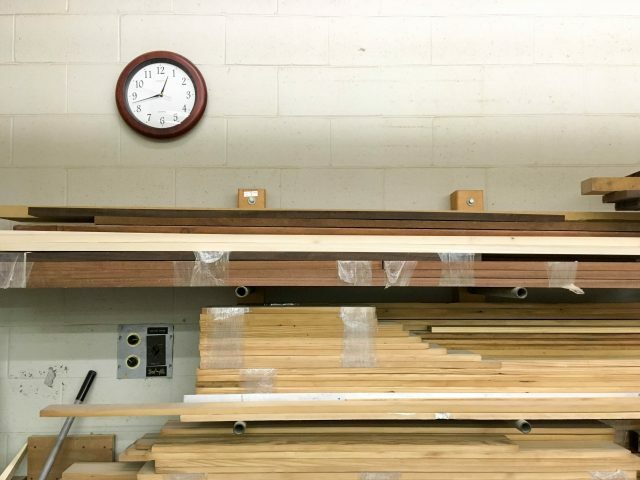 Work is always conducted under the supervision of a shop monitor or the shop manager, Gary Krewson. 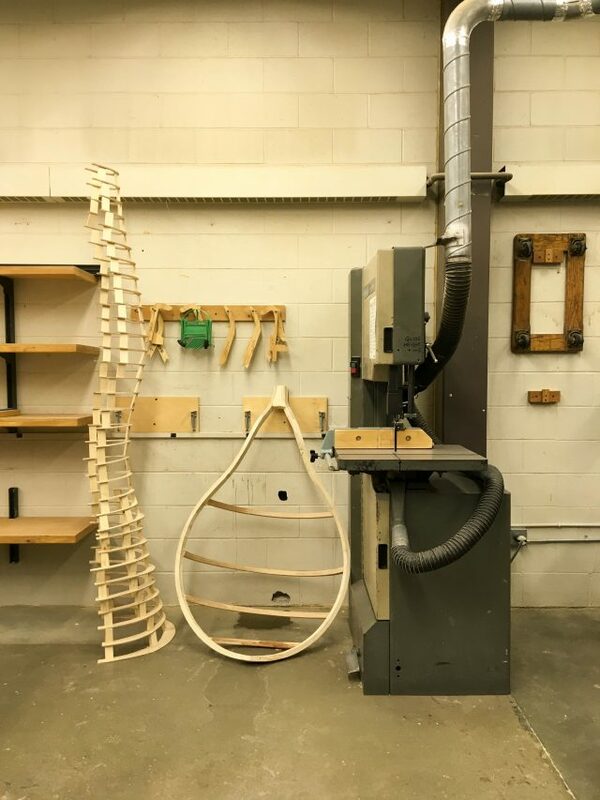 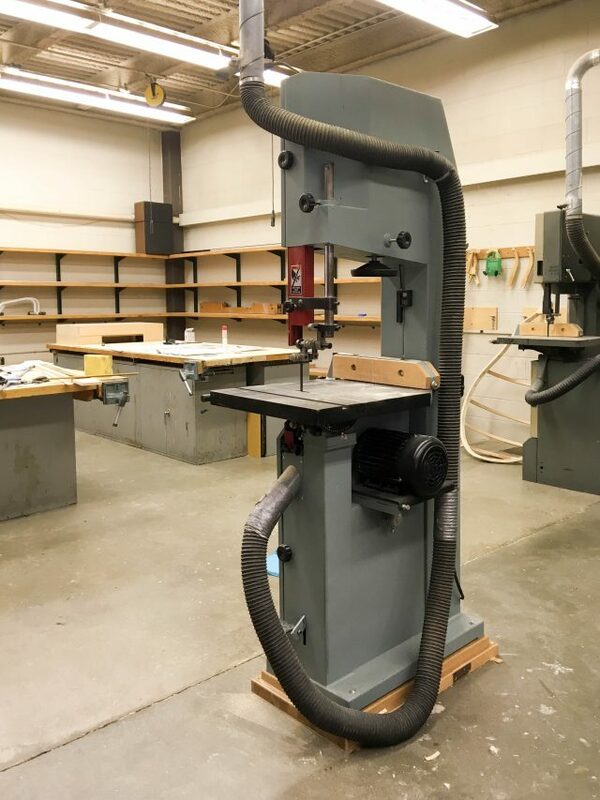 The wood shop is part of the hub for a collection of tools known as Digital Arts Materials Lab, that includes equipment for 3D printing, plasma cutting, and a CNC router.